The New York Stock Exchange is the largest stock market in the world. 1. What Time of the Day Does the Stock Market Stop Trading for the Day? Stock markets are essentially meeting places for companies and investors from all over the world. Companies need the markets to raise capital, while investors use them to attain financial goals, such as building a nest egg for retirement. Using online brokers and financial websites, you can research and trade stocks at reasonable cost from the comfort of your home. You can also hold stocks indirectly through professionally managed mutual funds. In addition to companies and investors, other stock market participants include market makers, brokers and regulators. Brokers, investment banks and market makers act as intermediaries in facilitating trades and market listings for new companies. U.S. securities laws ensure that companies provide timely information and that brokers and market makers treat investors fairly. 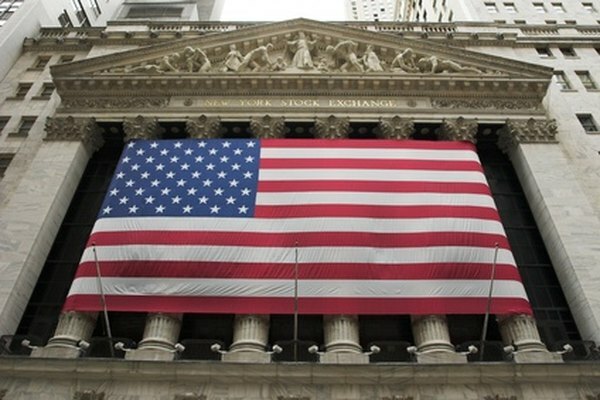 The U.S. Securities and Exchange Commission, along with the New York Stock Exchange and other exchanges, enforces these laws to safeguard the interests of all market participants. Indexes track the performance of baskets of stocks in a cross-section of industry sectors and subsectors. The well-known Dow Jones Industrial Average tracks the stocks of 30 large U.S. industrial companies, while the S&P 500 tracks a broader basket of 500 stocks. You can buy exchange-traded funds, which trade just like stocks on exchanges, or index mutual funds to mimic the performance of many of these indexes. The main trade orders are market and limit orders. Market orders are executed at the best possible market price. For example, if you place a market order to buy 100 shares and the best asking price is $20, then your order will be filled at $20. Limit orders are filled only at the specified price. In the example, if you specify a limit price of $18 but the share price never drops below $20, your order will not be filled. Day orders expire at the end of a trading session, which is 4 p.m. Eastern Time for North American exchanges. You can also place orders that expire later or that never expire until you cancel them. Orders placed online or over the phone go to brokers, which route the orders to stock exchanges. Brokers may also send orders to market makers, which are firms that buy or sell stocks at publicly quoted prices, or to electronic networks, which automatically match buy and sell orders. Brokers may also buy and sell stocks for their own accounts and potentially profit from the spreads between purchase and sale prices. You will usually receive confirmation of an order fill within seconds. Successful investing requires patience and vigilance. Patience is important because short-term market volatility causes price gyrations that have little to do with the underlying fundamentals. Vigilance is necessary because frauds exist despite the best efforts of regulators. You should consider the source of the information and avoid acting on "hot" tips over the phone or through email. Do not make investment decisions before researching and independently verifying the facts.